Please describe what you would like Mary Sharon Moore to do: Please enter your message. Catholic author, speaker, and teacher Mary Sharon Moore, a committed follower of Jesus, serves the Church as an evangelizing missionary, delivering powerful programs and conference keynotes. Mary Sharon ignites the heart, mind, and spirit of individuals and audiences to the mission of the Church--to remain in Christ and to reveal him everywhere. Mary Sharon Moore is dedicated to equipping laity to be the public face of Christ. She believes deeply that every one of us is anointed for a purpose, for a work of justice and love in this world, unique to our gifting and mission. 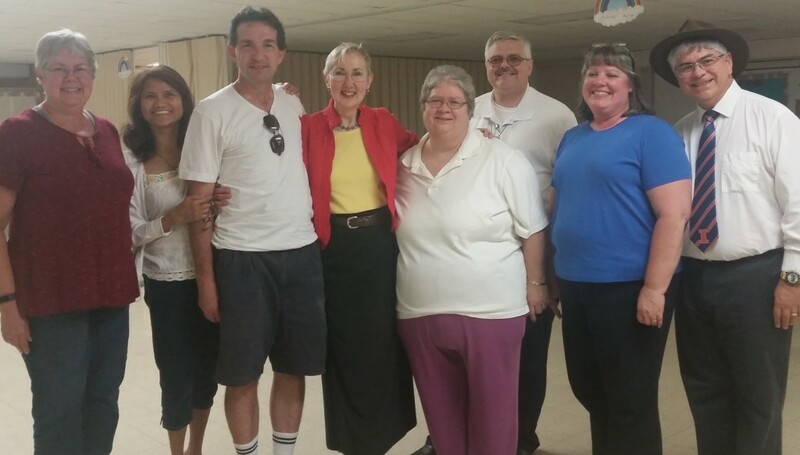 Mary Sharon Moore, M.T.S., has been evangelizing throughout the United States for over two decades. A committed follower of Jesus, Mary Sharon makes it easy for pastoral and catechetical leaders to call forth, raise, up, and support their laity in the tradition of the Church’s social teaching. And she ignites, forms, and animates lay men and women to do the work of the reign of God, in their place and time. Since 2012, with her breakthrough book Anointed for a Purpose, Mary Sharon has become known for her signature work of awakening men and women of Christian faith to the power of their anointing in the Holy Spirit--for the good of the world they touch. 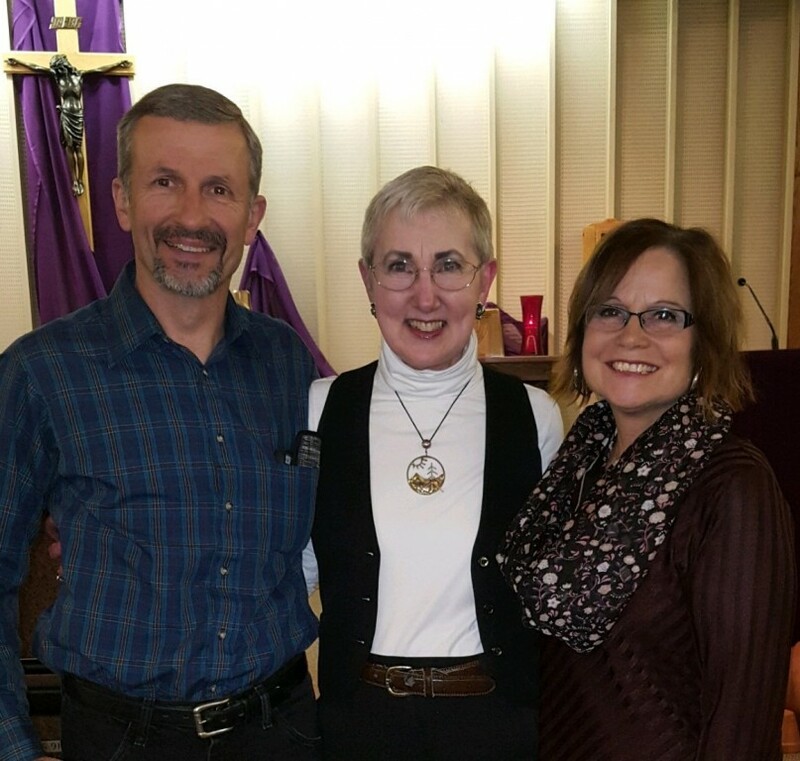 Mary Sharon believes that evangelizing is not "something you do." It's a way of being in the world--simply, and courageously, living the whole of the Gospel at every turn. And she draws richly from her own experience for stories that engage, challenge, and inspire. Mary Sharon has a master's degree in theological studies from the Franciscan School of Theology in Berkeley, California, with a focus on liturgical spirituality. She is a much-sought spiritual director, with a direction practice that spans the United States. Mary Sharon's most popular parish missions include Anointed for a Purpose; Conformed to Christ; Lord, Teach Us to Pray; Poor, Like Jesus; and Summer School for the Soul. Descriptions of all of her offerings are available in her Catalog 2018. Mary Sharon's style is inviting, engaging, evangelizing, and deeply encouraging. Event planners appreciate her thorough attention to detail, and her ready collaboration to create high-impact events. Based on Mary Sharon’s most popular book, this mission offers rich insight and encouragement for baptismal mission for men and women in every stage and state in life, and for youth growing as disciples. 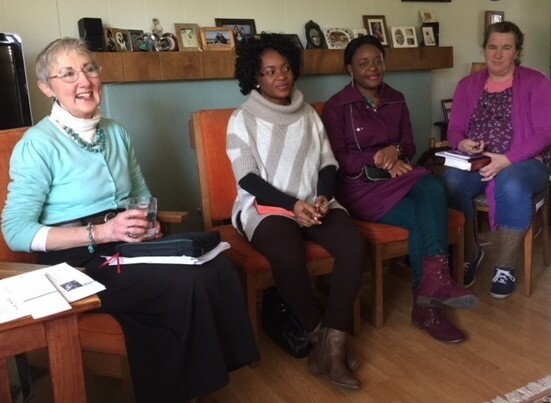 Drawing from Mary Sharon’s book of the same title, this mission helps participants to recognize the many invitations and entry points into mature, responsible life in Christ. With real-life stories and insights that open hearts, Mary Sharon ignites the fire of love for Jesus, for sacrament and scripture, reminding everyone of why church still matters. A rich immersion in the “blessed” way of life which equips women for the heavy lifting and spiritual challenges of life in the world they inhabit. A weekend exploration of the kinds of speech that can hold women back from the honesty of their experience and the fullness of their call to anointed life in God. A lovely Advent retreat which speaks equally to the challenge and invitation to move from the many forms of brokenness and incompleteness to a courageous life of fruitfulness and grace. An insightful, hope-filled, inspiring retreat for men and women of retirement age, empty-nesters, and those who are ready to give themselves with renewed vigor to a greater mission. How Do You Get to Wholeness? Based on Mary Sharon’s work in the area of lifelong anointing, and uniquely shaped for those in mid and later years who are ready to touch that sacramental anointing in new ways. Confirmation Youth Talk: You Are Anointed for a Purpose! Mary Sharon has a keen ability to get to the heart of the vocational conversation, geared for youth audiences. With lavish use of scripture and stories of other young people’s remarkable good in the world they touch, these talks are pure joyful moments of evangelizing, educating, and encouraging. 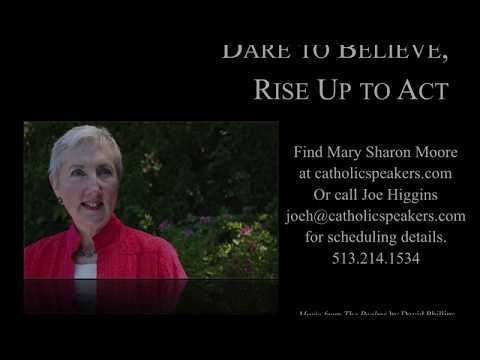 Mary Sharon Moore Catholic Speaker - Dare To Believe Meditation "Imagine With Me"
To book Mary Sharon Moore for an event, contact CatholicSpeakers.com at 513-214-1534 or click here : https://catholicspeakers.com/profiles/mary-sharon-moore Catholic author, speaker, and teacher Mary Sharon Moore serves the Church as an evangelizing missionary, delivering powerful programs and conference keynotes. Mary Sharon awakens the heart, mind, and spirit of individuals and audiences to the mission of the Church--to remain in Christ and to reveal him everywhere. To book Mary Sharon Moore for an event, contact CatholicSpeakers.com at 513-214-1534 or click here: https://catholicspeakers.com/profiles/mary-sharon-moore Catholic author, speaker, and teacher Mary Sharon Moore serves the Church as an evangelizing missionary, delivering powerful programs and conference keynotes. Mary Sharon awakens the heart, mind, and spirit of individuals and audiences to the mission of the Church--to remain in Christ and to reveal him everywhere. To book Mary Sharon Moore for an event, contact CatholicSpeakers.com at 513-214-1534 or click here: https://catholicspeakers.com/profiles/mary-sharon-moore Catholic author, speaker, and teacher Mary Sharon Moore, a committed follower of Jesus, serves the Church as an evangelizing missionary, delivering powerful programs and conference keynotes. Mary Sharon ignites the heart, mind, and spirit of individuals and audiences to the mission of the Church--to remain in Christ and to reveal him everywhere.